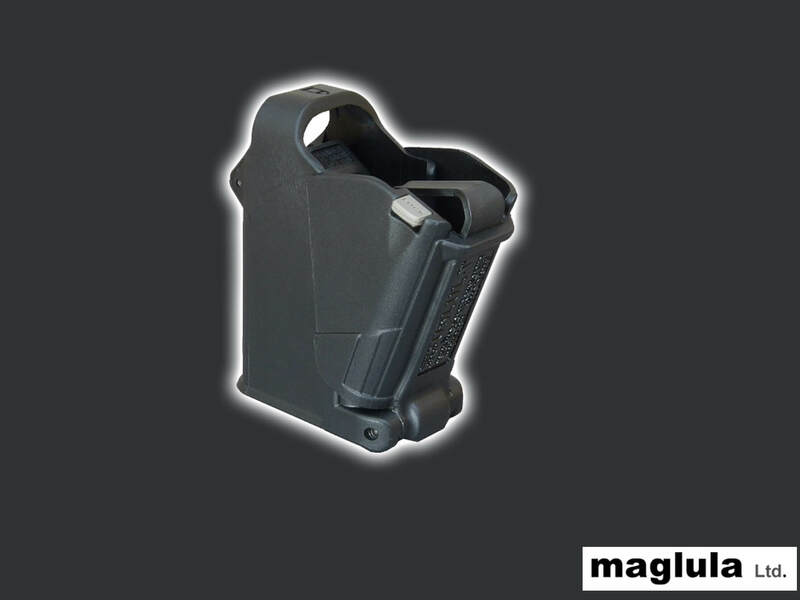 The UpLULA is a military-quality universal pistol magazine loader and unloader designed for loading and unloading virtually all* 9mm Luger up to .45ACP magazines, single and double stack, of all manufacturers. It does so easily, reliably, and painlessly! Loads all 9mm Luger, 10mm, .357, 10mm, .40, and .45ACP cal. single and double stack magazines., including 1911 mags, of all manufacturers. One size fits all. No inserts, spacers or adjustments at all! Easy loading; the rounds just drop in with no fingers pushing or pressing them. No more pain! Load hundreds of rounds painlessly. Fits in hand and pocket, weighs only 66 grams (2.3 Ounce). Highly durable.